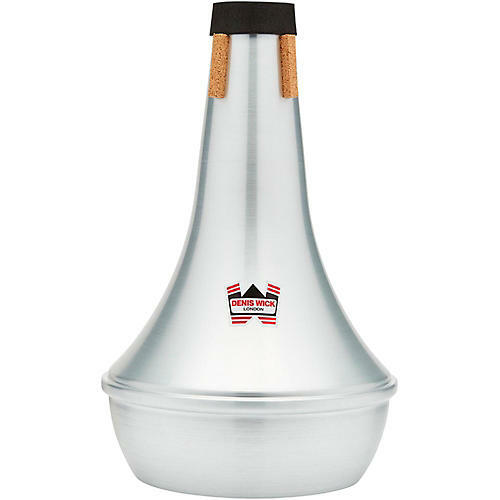 Denis Wick offers a range of euphonium mutes to suit all players and playing situations. British-made, Denis Wick mutes are acclaimed worldwide for their sound quality, intonation in all dynamic ranges, and superb workmanship. Straight, model DW5513. Aluminum construction. Denis Wick offers a range of euphonium mutes to suit all players and playing situations. British-made, Denis Wick mutes are acclaimed worldwide for their sound quality, intonation in all dynamic ranges, and superb workmanship. Straight, model DW5513. Aluminum construction.